Holy Feminine is a global project addressing the denigration of women within faith traditions by not allowing women to be priests or to have any leadership position. Suppressing feminine energy and denying all women to take a leading position in all religions has brought suffering to all humanity - both men and women. The excessive masculine energy led the world into suffering, spiritual wars and depression. Throughout the centuries, the formulation of Christian doctrine has been influenced by the prevailing culture of the time. Women were excluded from exercising priestly functions on cultural grounds because they were considered: less intelligent emotionally, unstable, unreliable, not capable of exercising any real leadership. Women were stopped from entering church during their periods or from receiving holy communion. At times they received communion on a cloth spread out over their hands. They certainly were too ‘unclean’ to approach the altar as priests! We are convinced that the world will be a better place only when there will be balance between the feminine and masculine energy. It’s time for the #HolyFeminine energy to flourish and to start a global movement on all Christian dimensions. 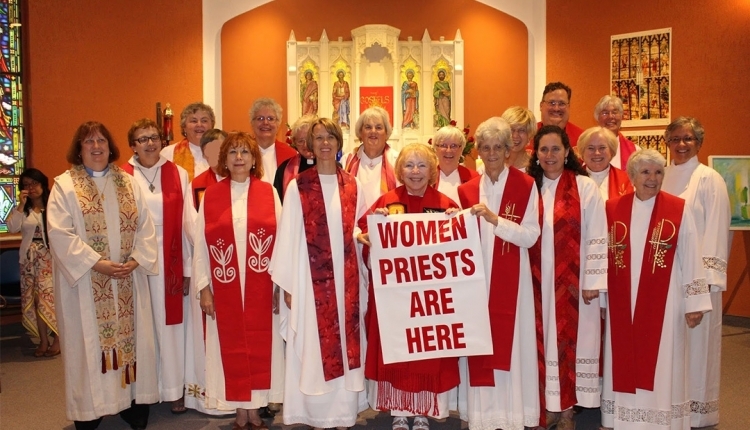 We want #WomenPriests , #WomenBishops and #WomanPastors on all Christian traditions - Catholic, Orthodox and Protestant Churches! Please sign this petition to support our initiative. For more information on how we can make this change happen please visit our website at www.holyfeminine.com. It is cultural prejudice that has throughout the millennia propped up the exclusion of women from the priestly ministry. Church authorities have simply NOT WAKEN UP to this fact! The HolyFeminine.com - Petition for Orthodox Church members petition to Orthodox Church was written by Holy Feminine and is in the category Gender Rights and Issues at GoPetition.